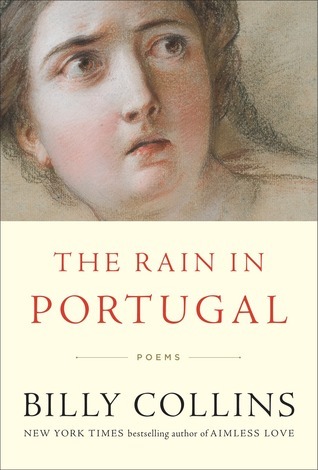 Billy Collins is absolutely one of the best contemporary poets, and his latest collection The Rain in Portugal does a lot of work to show off his strengths. Billy Collins is a masterful poet, and he is able to play with convention successfully. In fact, the title of the book is a play on the traditional rhyme, “The rain in Spain falls mainly on the plain.” Most contemporary poetry does not rhyme, and Collins’ deliberate mockery of rhyme with his title and the the title poem works because he understands the rules enough to break them. This poetry collection of 160 pages would be a great primer for anyone who wants to try to experience poetry. While Collins does play around with convention, he does not take it to the extremes as some contemporary poets do. He is one of the most accessible poets that is out there, and he is perfect for beginners. While his poems are fraught with meaning, they are easy to understand at their surface and they do a lot to prevent reader alienation. This is one of the best collections I’ve read in a long time.